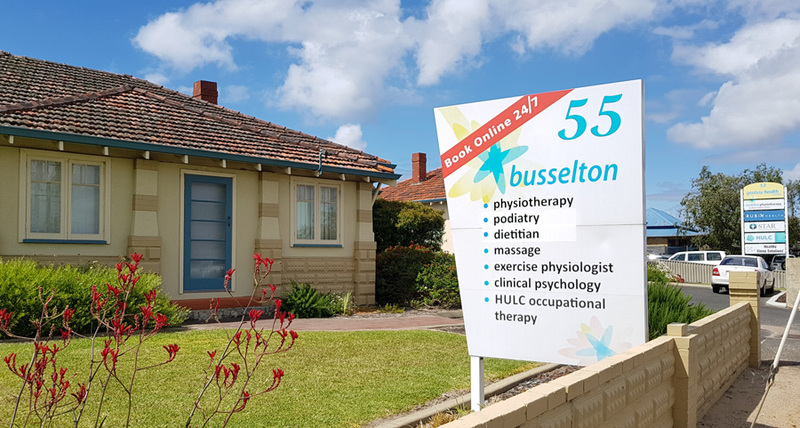 Busselton Physiotherapy & Allied Health Centre offers a convenient Online Booking System for a number of our services including: Physiotherapy, Massage, Dietitics, Podiatry or Exercise Physiology. Alternatively you are welcome to contact us via the Contact Form or Contact Details below. Click on the button below to use Busselton Physiotherapy & Allied Health Centre‘s convenient Online Booking System for the following services: Physiotherapy, Massage, Dietitian or Exercise Physiology. For Physiotherapy Bookings or Enquiries please Book Online, use the form below or Call Us on (08) 9752 4174. For Massage Bookings or Enquiries please Book Online, use the form below or Call Us on (08) 9752 4174. For Dietitian Bookings or Enquiries please Book Online, use the form below or Call Us on (08) 9752 4174. For Exercise Physiology Bookings or Enquiries please Book Online, use the form below or Call Us on (08) 9752 4174. For Podiatry Bookings or Enquiries please use the form below or Call Us on (08) 9752 4174. For Occupational Therapy Bookings or Enquiries please visit the Hand + Upper Limb Centre website, or Call (08) 9791 5978. For Clinical Psychology Bookings or Enquiries please visit the Busselton Clinical Psychology website. For Psychotherapy & Counselling Bookings or Enquiries please visit the PsychSense Psychotherapy website. Consultations are available by appointment between 8.20am and 5.40pm weekdays.